America’s Independence Day is the 4th of July. On November 11th, Americans honor soldiers on Veterans Day. 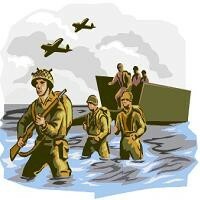 Memorial Day is celebrated on the last Monday of May. There are other patriotic holidays but these are the most popular. It’s become a tradition for many local and cable television stations to air military movies that depict brave U.S. soldiers risking their lives to protect the freedom of the citizens of this country, remind us of their sacrifice, and stoke the flames of patriotic fervor. 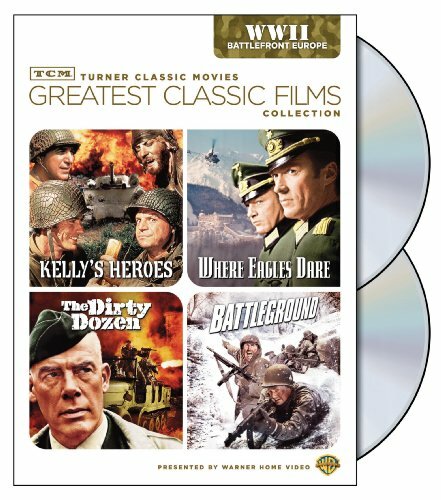 A while back FoxNews.com published a list of The 30 Greatest War Movies of All Time. Hardly any of the movies that came to my mind were on the list. 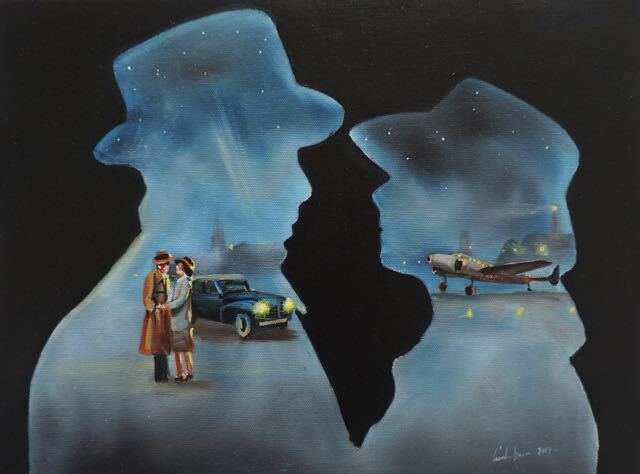 One movie, in particular, for sure did not come to mind: “Casablanca” (1942). 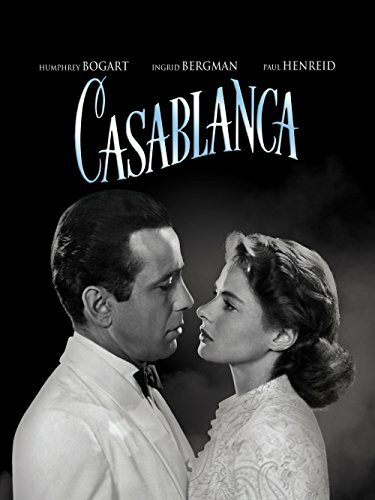 Nobody loves Humphrey Bogart and Ingrid Bergman more than me; but to tell the truth, Casablanca was not on my list for war movies. I had always fancied it as a love story, i.e. a romance movie. 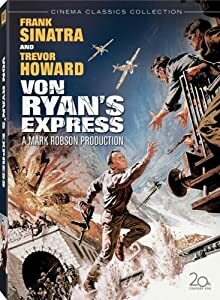 Though war movies are not my favorite movie genre, there are some films that did fall into my “Most Remembered” category. I honestly had not expected Tom Cruise to play a good German. But then I realized: ‘Of course! He’s playing … A GOOD German.’ I don’t think he could have pulled off a MEAN NASTY GERMAN. But hey! He could have surprised me. Poor soldier; he wanted so much to believe the assassination mission had been a success. This is a World War II classic that both my husband and I agree on. Sadly, Von Ryan, played by old blue eyes, Frank Sinatra, didn’t make it out. Some say this is one of the best World War II movies. I agree. But I would agree anyway because I am diehard fan of Frank Sinatra. Richard Burton and Clint Eastwood: I just can’t see how you could have gone wrong with a pair like these two. I loved this movie! Colonel Wyatt Turner: “Some people have a sixth sense. He has a sixth, a seventh and an eighth." I researched and found this quote. But I’m not sure who the colonel is talking about. I would have to re-watch the movie and focus, listening for this specific line. But I’ll bet it’s about the character Clint Eastwood played. I watched an interview of Richard Burton and he was discussing working with Clint Eastwood. Even in the interview it sounded like he was describing the real Clint Eastwood and Mr. Eastwood's character. This World War I movie stars, George Peppard, Ursula Andress and James Mason. It seems as though this is a forgotten movie. I hardly ever see it and we have cable TV! This movie is a classic. Not that I really remember it. It was released when I was about 11 years old and I don’t think I was supposed to be in the theatre watching it. But I saw it in a theatre. George Peppard was such a hottie! 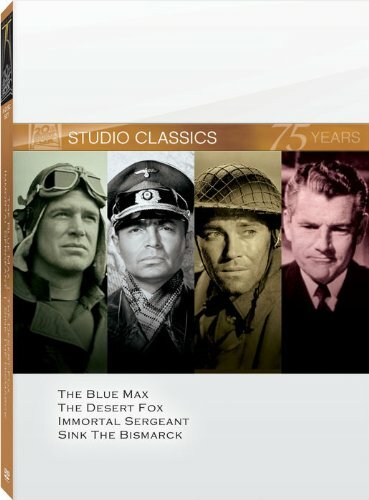 “The Blue Max is a must-see for any George Peppard fan.” I extracted this quote from the IMDb (Internet Movie Database) “User Reviews”. Yeah. That sums it up for me. Another movie lost in time. They don’t seem to show very many movies starring William Holden. It’s about a British colonel who, after settling his differences with a Japanese P.O.W. 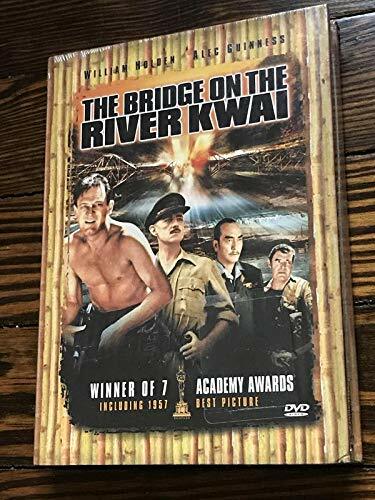 camp commander, co-operates to oversee the construction of a railway bridge for their captors, not knowing the whole time that the Allies plan to destroy it. A most impressive cast for a most impressive movie. Gregory Peck (Captain Mallory), David Niven (Corporal Miller), Anthony Quinn (Colonel Andrea Stavrou) and Anthony Quayle - i.e. Sir John Anthony Quayle - (Franklin), Stanley Baker ("Butcher" Brown), Gia Scala (the coward and traitor - forget her name), Irene Papas (Maria), and James Darren (Spyros Pappadimos). My favorite quote from this movie was spoken by the cultured and well-mannered Englishman, David Niven. Corporal Miller: “Now just a minute! If we're going to get this job done she has got to be killed! And we all know how keen you are about getting the job done! Now I can't speak for the others but I've never killed a woman, traitor or not, and I'm finicky! So why don't you do it? Let us off for once! Go on, be a pal, be a father to your men! Climb down off that cross of yours, close your eyes, think of England, and pull the trigger! What do you say, Sir?" This is the scene where the group discovers that one amongst them is a traitor and it turns out to be a woman they all thought couldn’t speak. Supposedly she became mute after she had been tortured. Anyway it turns out she was working along with the enemy the whole time and had kept the enemy informed as to their whereabouts. When they all figured out that it was her, it was clear she had to be killed. But Corporal Miller didn’t want to shoot a woman. So he demanded that the man in charge (Captain Mallory played by Gregory Peck) SHOOT HER! “ … be a pal, … What do you say, Sir?" Well … the captain wasn’t too keen about shooting a lady either. I watched the scene thinking: ‘Can you believe it? The woman nearly got them all killed and they’re too much of a gentleman to shoot a lady?? That wouldn’t happen in my neighborhood.’ Finally the other woman in the group pulled the trigger. The other quote was actually a new word that I learned watching “The Guns of Navarone” and it’s the word for a truth drug: "scopolamine” . Astonishing and fascinating! Is there really such a thing as a drug that can make you tell the truth? One of the soldiers in the group had to be left behind because he was too badly wounded to continue on. The captain knew the Germans would give him scopolamine or a truth serum instead of torturing him in order to get the truth out of him. As the captain predicted they did give the soldier the drug and the soldier told the enemy everything the captain had told him (i.e. the wounded soldier) … WHICH WAS NOT THE TRUTH. The soldier didn’t know it wasn’t the truth so the soldier didn’t realize that he hadn’t really revealed any valuable information to the enemy at all. One last memorable quote uttered by Col. Andrea Stavros (played by Anthony Quinn). I didn't find it on the Internet but it's a line I could never forget. 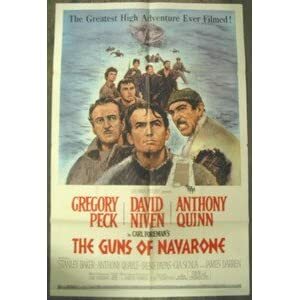 If you have never seen “The Guns of Navarone” you have got to watch this movie. You will not sleep through it. Guaranteed!! MOVIE TRIVIA: Did you know that there was to be a Guns of Navarone Trilogy? The idea was scrapped because “Force 10 From Navarone”, the sequel, was not exactly a blockbuster smash hit!! Another great cast but the movie was very disappointing by comparison. I’m not going to tell you anything else. You’ll have to see the movie. Sophia Loren received the Academy Award for Best Actress. As a matter of record, this was the first Oscar ever given for a performance in a "foreign-language" film. My memory of her performance in this film is that of a heroic performance worthy of this kind of recognition. 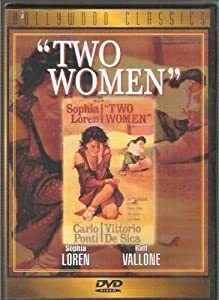 This movie was about a mother (“Cesira”) and daughter (“Rosetta”) who suffered yet survived the horrors of war. Though she did everything within her power to protect her young daughter, both she and her young daughter were violated – in a church, a place where they thought they could get some shelter and safety. They had fallen asleep only to wake up and live through the nightmare of being raped by soldiers who found them sleeping there. Sophia, like any mother, was not so much concerned for herself bur for her young virgin daughter. When her young daughter screamed, there was no more the mother could do to save her. When the soldiers were done, they went on their way. Rosetta (Eleanora Brown) was in shock and the mother, Cesira (Sophia Loren) held her in her arms. The agonizing scornful and bitter words of a distraught distressed mother screaming at the men who were supposed to be protectors. It’s a sad and solemn note to end an article. But how could one possibly end a discussion about war and the tragic events that take place on a happy note? If you have a conscience that understands mercy, pity, sorrow, pain and human compassion, you really can’t say: “Eh! It was only a movie.” Because YOU KNOW it’s a movie about REAL LIFE HORRORS. YOU KNOW even a HAPPY VICTORY came at GREAT COST. Guess who was born on Christmas day? Well, not our libraries, unfortunately. It's just books. Well, I guess I'll have to ask. Certainly haven't seen any DVDs around. I get DVDs at the British and French libraries. We're really lucky here in Bucharest. Also in some of the other large cities. But in smaller towns the libraries are very small -- if they exist at all. (When I was growing up high schools had their own libraries, so those may still be around.) All this while here in Bucharest they throw away books because they don't have the money to bind them again. Actually, this is a topic that is starting to interest me more and more. If I knew a bit of library science, I would write about it, but as it is, I'll probably just have to look to see what others have to say on the topic of Romanian libraries . . . I'll have to watch Casablanca again :). Also tempted by some of the other titles you listed here. Maybe I can find them at the British library. You listed some great movies above. Funny - but I never really thought of Casablanca as a war movie either.It's a great movie however you want to classify it! My Mom introduced me to Two Women years ago. I've been a sucker for anything Sophia Lauren ever since. Excellent movie that should not be forgotten. I think the list shows my age. Many of the actors are no longer with us. If you asked one of my daughters about any of these movies they'd probably only know about Valkyrie. I am so glad you stopped by and took the time to comment. War movies are not 'my' genre. Maybe because the action too often steels the transformation of character(s), necessary for any good drama. Maybe this is the reason we all have different kinds of 'lists'? Casablanca and Full Metal Jacket are not typical war movies in my opinion too, but they can be added if we look on the settings which caused the transformations - in one case in better, more noble character and in the other to breaking a boy who couldn't make it. Again - it is about the perspective and definition of the genre.